Annotation: Tiger Woods is not just the best golfer in the world. He is also one of the biggest celebrities on the planet. But Tiger has not let success go to his head. He is still one of the hardest-working golfers on the PGA tour. Follow Tigers career from when he first picked up a golf club at nine months old to his most recent major golf championship. - Racially mixed people; United States; Biography; Juvenile literature. - Golfers; United States; Biography; Juvenile literature. Bargain Category: Upper Elementary, Sports, Middle School, Biographies, $1 Books! After an introductory chapter, each of these formulaic profiles cover an athlete's childhood and early career. The remaining sections focus on professional accomplishments and highlights. Despite the perfunctory nature of these brief treatments, a colorful page design, crisp photographs, and large print should appeal to younger and reluctant readers. Reading list, websites. Glos., ind. 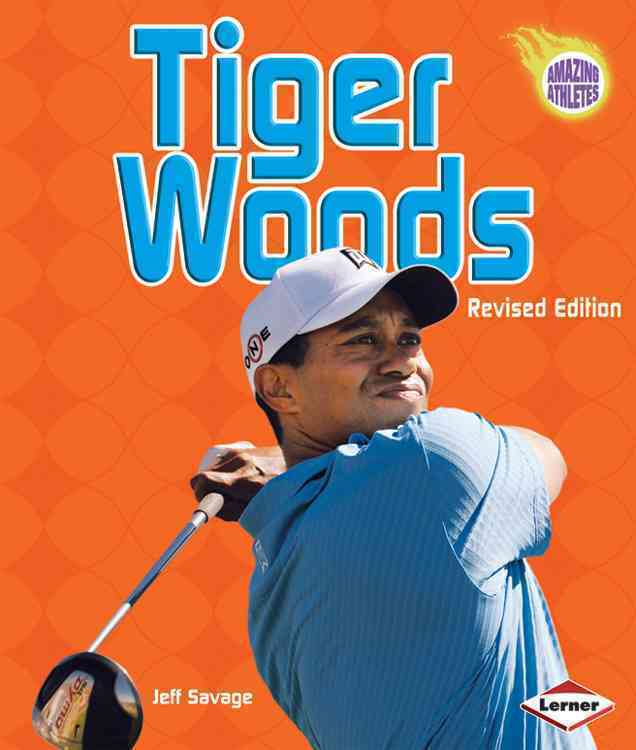 [Review covers these Amazing Athletes titles: [cf2]Venus & Serena Williams, Ichiro Suzuki, Jeff Gordon,[cf1] and [cf2]Tiger Woods[cf1].] Copyright 2004 Horn Book Guide Reviews.